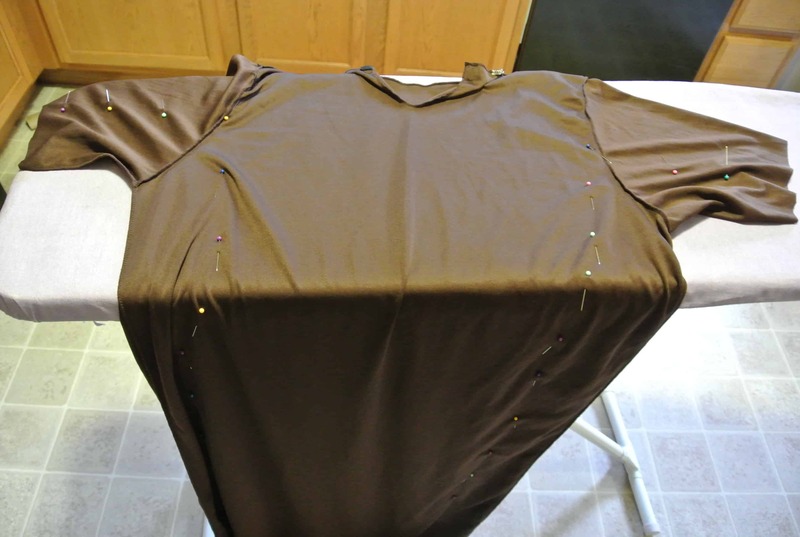 To get started, I chopped off a good bit from the sleeves. It’s hot here. Seriously hot. Long sleeves just won’t do! 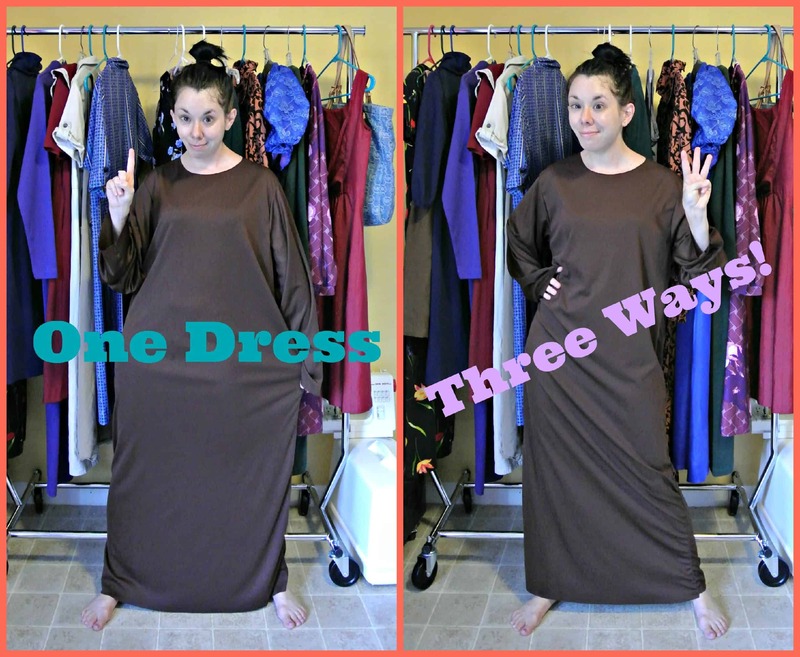 I put the dress on my dress form inside-out and backwards and got to reshaping! I spy a shape in progress! I only kept one side pinned though. Otherwise, I wouldn’t be able to get my newly-pinned dress off the form! I measured the unpinned side against the pinned side with my measuring tape to get those pins even steven on both sides! 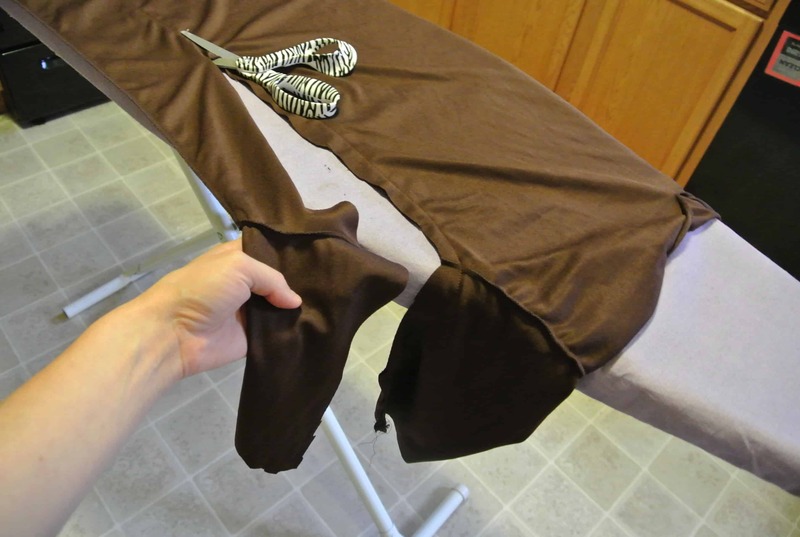 …and the extra fabric got chopped off and stored for later! Hmmmmm….wonder what I’ll do with the leftovers? Just stitch each side down and snip off that velcro! I still wasn’t quite done! The fit was much improved, and the neckline was waaaaaay better, but my new dress still lacked oomph! I remedied this with one more chop! 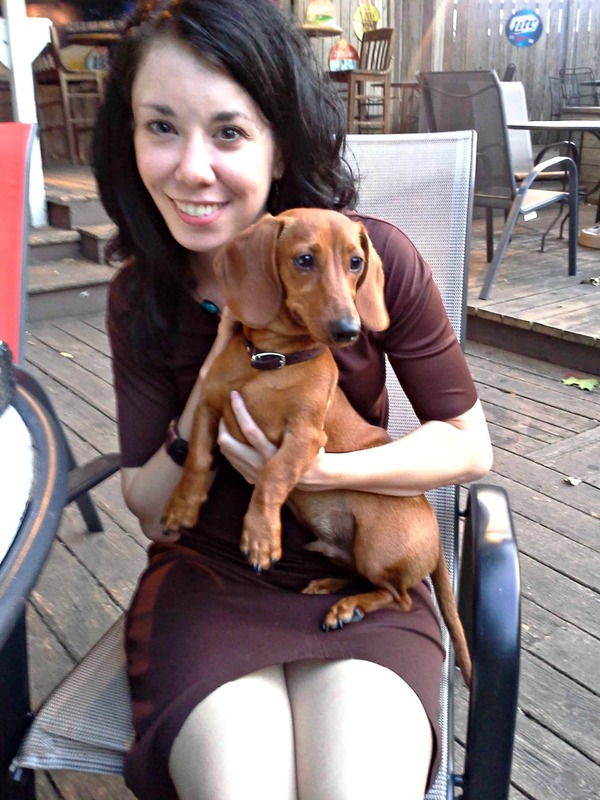 I wore my new dress to work, followed by Yappy Hour (and no…that’s not a typo!) at Jake’s! For those of you who have been clamoring for more Douglas, the following pics are for you! 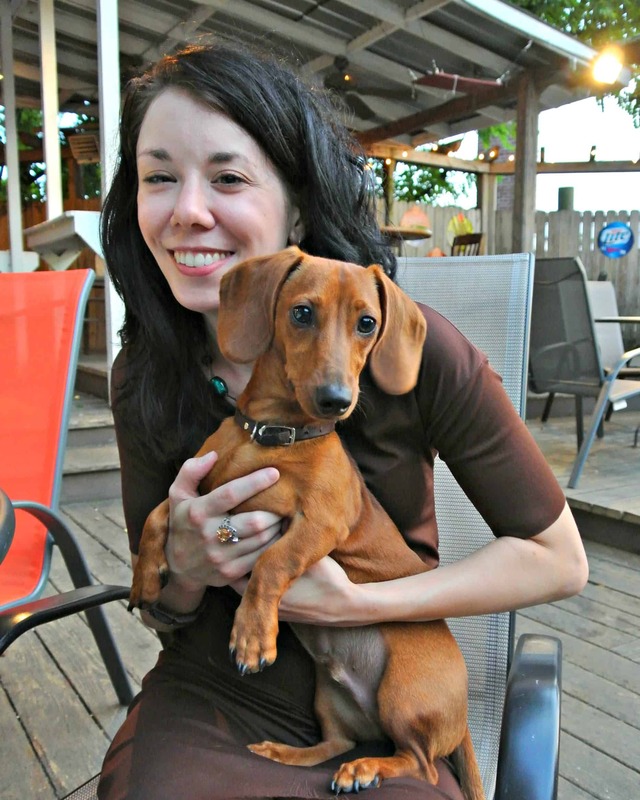 We’re both sooo happy Jake’s is dog-friendly…and not just for Yappy Hour! …but everyone was so welcoming and nice! Dougie made lots of friends! 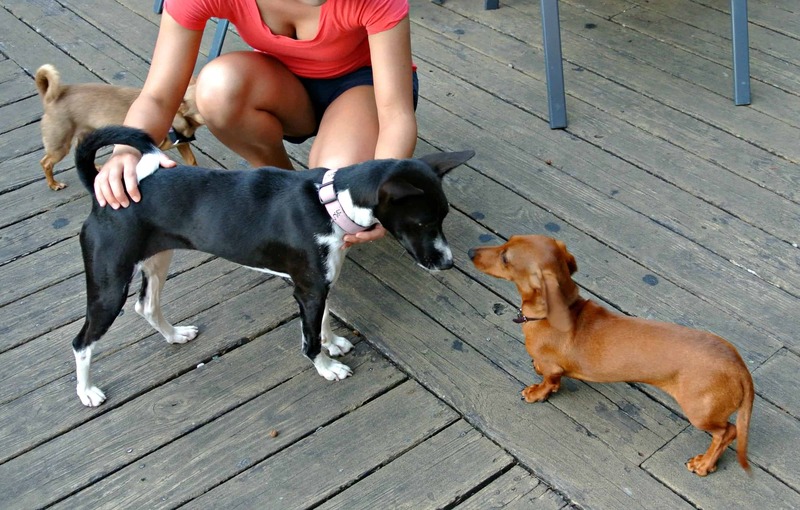 Methinks we’ll be coming back to Yappy Hour next week! Alright, folks! That’s two down, one to go! Wonder what I’ll do for my final refash of this dress….Stay tuned! I think this dress is actually fantastic and gorgeous right now as it is. I hope your next phase won’t change it too much! :-) I really, really like it! I love it! Don’t change a thing! Ah! But change it must! Love the high low hemline on you! Sweet idea! This looks fantastic. And, I do like the old format better, the logo/photo at the top is too good not to include. It’s always fun to see what you are up to. Super cute! I usually don’t like high-low hemlines, but you’re pulling it off! Very nice! Love the versatility. Beautiful & innovative! Looking forward to the third incarnation. I love this! It is so cute I am inspired to go to the thrift store myself this weekend. This is your best ever refash – simple, flattering to your figure, and you can dress it up or down. I echo the first comment! I hope the last refash won’t completely change the cool dress this turned into! I’ve always been too intimidated to sew clothes for myself, but you have definitely been inspiring me lately! I love today’s version of this dress! I’m enjoying seeing it different ways. Very cute once again – your body ROCKS in that dress! 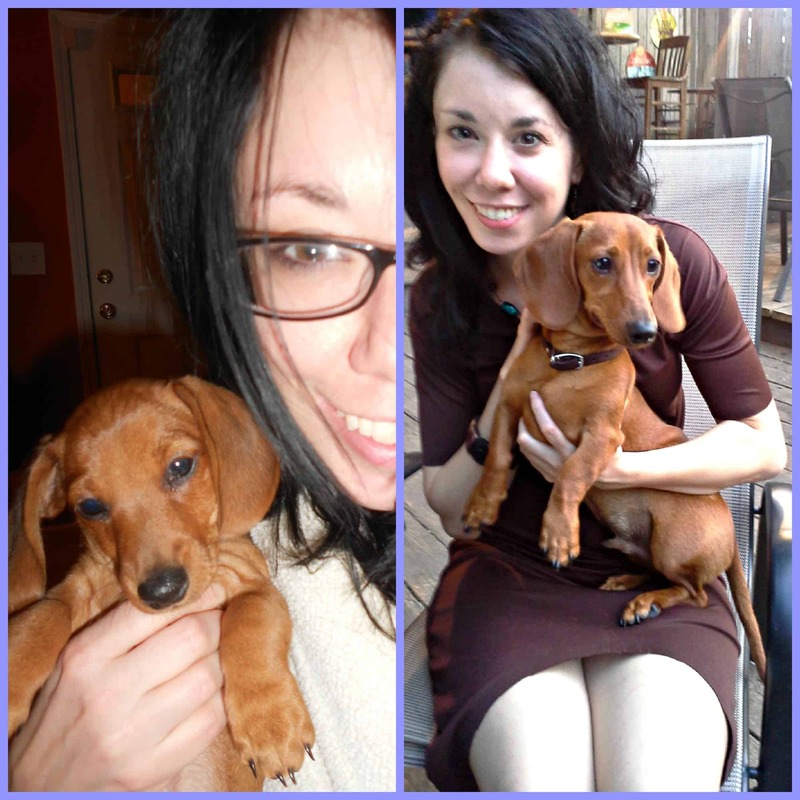 Thanks for all the cute pix of Douglas – he has grown SO fast but still just as cute! Love Douglas!!! Did I also spy a basenji? My vote is for a shirt – one chop! That top is too cute on you to change. Very nice! This color’s great on you. Lovely pics. wow! I gotta say–this is my very favorite refash, probably EVER! I normally don’t like mullet dresses, but the sleeve length and vee-neck on this one just really chic it up. Too bad it’s got another date with the sewing machine. Love it…. Love Douglas too! such a cutie-patoootie…. 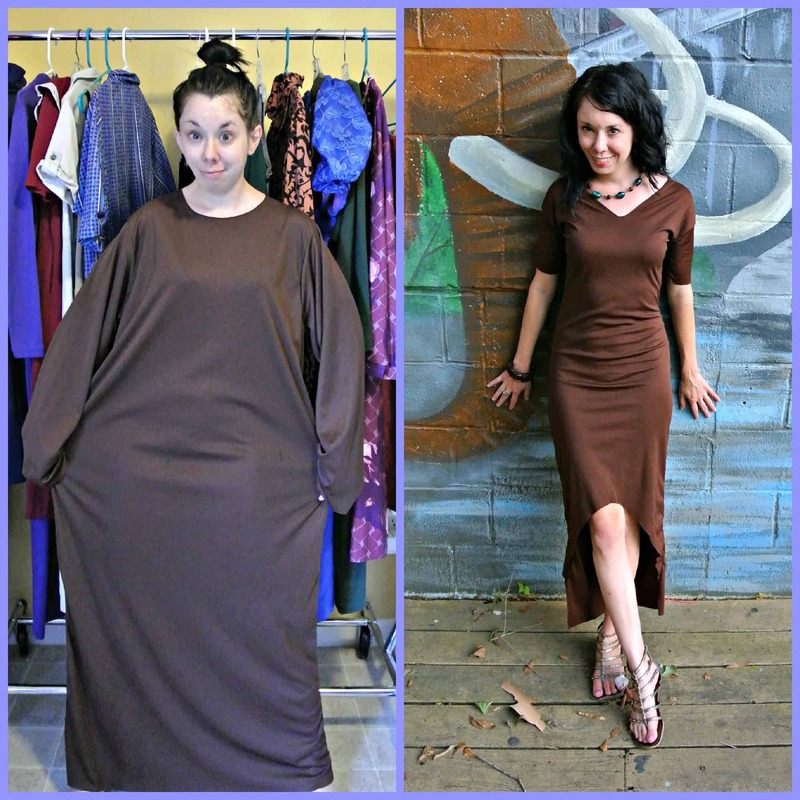 I love the second refashioning of the dress. Super chic. PS Douglas is adorable! Wow what a transformation!! I love the high low gem it really suits your figure!! I wish I had the energy to refashion as much as you do! My kids zap every ounce I have at the moment! I need to get on with it!! Holiday in 3 weeks and I need a full wardrobe!! Check out my recently refashioned blog!! There’s a link to my blog from my Facebook page!! Please like and share! This dress is awesome. It looks so comfortable as well. Great job. Great Job on your Refash! Here’s to changing the world… one refashion at a time! I am feeling this dress. It looks fab, and it really suits your figure. I would definitely wear that dress. I really like the gladiator sandals with the dress – very sharp! Well done! Can’t wait for the third refashion…. P.S. – I’m writing my next post on my blog on individuals who inspired me to find ways to fabulously save money, and I’m going to mention you and your blog. 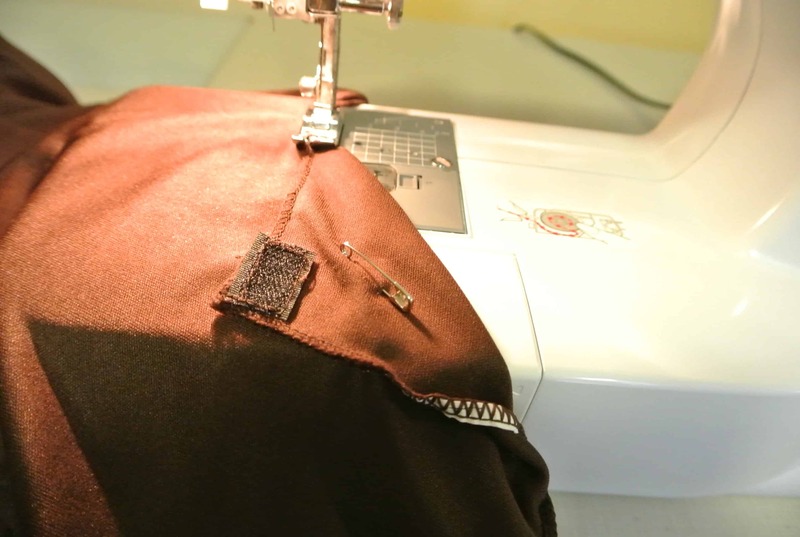 You make me want to learn to sew and apologize to my mother who through tears tried to teach me so long ago. Thanks for inspiring me! I think this is my fav dress yet! It looks amazing on you! Not too shabby for halloweeny costume material! This dress is adorable! This would be something I would buy in a store. Can’t wait for refash #3! I LOVE this dress. You have the perfect figure for it, and I really think you hit the nail on the head by not making the “Hi” part too high. It’s just high enough! Sometimes those hi-low dresses are just too high in the front and yours is just perfect! Love that the old theme (pretty much) is back. Gotta keep the classic pic of you on top. This is too cute!! As much as I love this look, I can’t wait to see what else you do with it. What fabric is the dress?! I’m picturing felt/ Halloween costume fabric and wondering how you can manipulate it so much and so well!? Looks great! 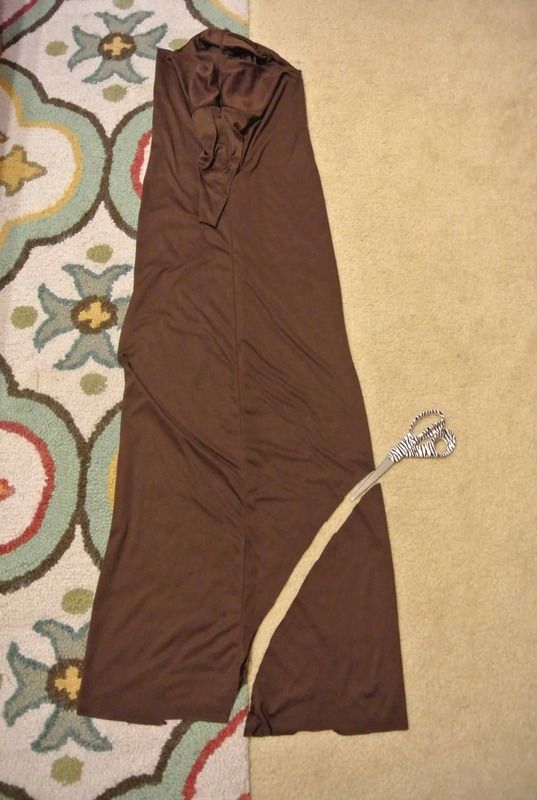 It’s a really thin polyester…reallllly easy to work with. Your reshaping skills are awesome. I love that you can wear this dress three times and it always looks different. Do you ever wear the same thing twice? What do you do with your refashions after you are done wearing them? 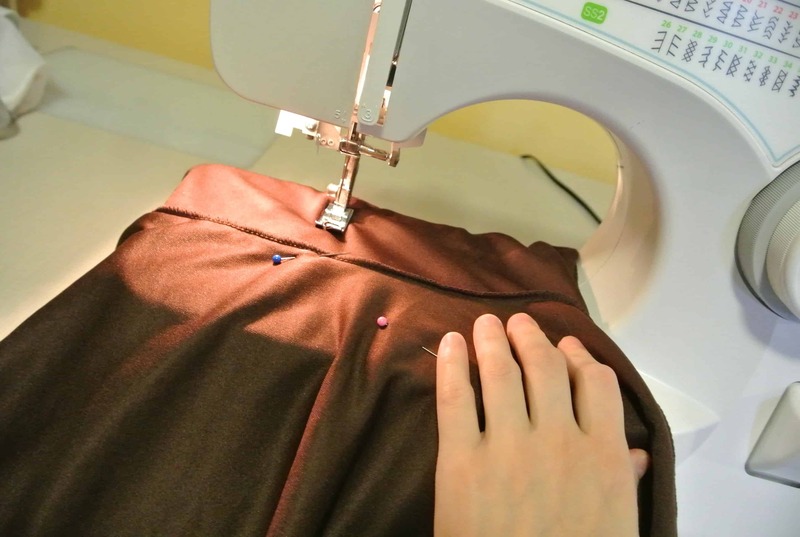 u is amaaaaazin’ – go sew girl! love it! Super cute!!! , I don’t think I would change any part of this one.Do you ever do a refash that doesn’t work. And you have the trash the whole piece? Do you ever where anything twice? Love it!! Great color on you! Love this one… too bad you have to change it but looking forward to where this is going. Wow! Unbelievably fabulous, starting with a totally weird piece of horrible crap!!! Bravo!!!! Hi there. 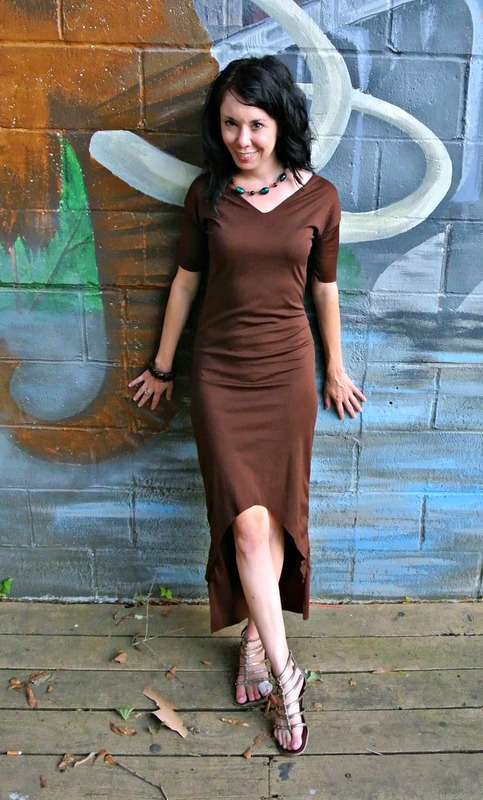 So I am a lover of the color brown and I was really excited about this 3 way dress. 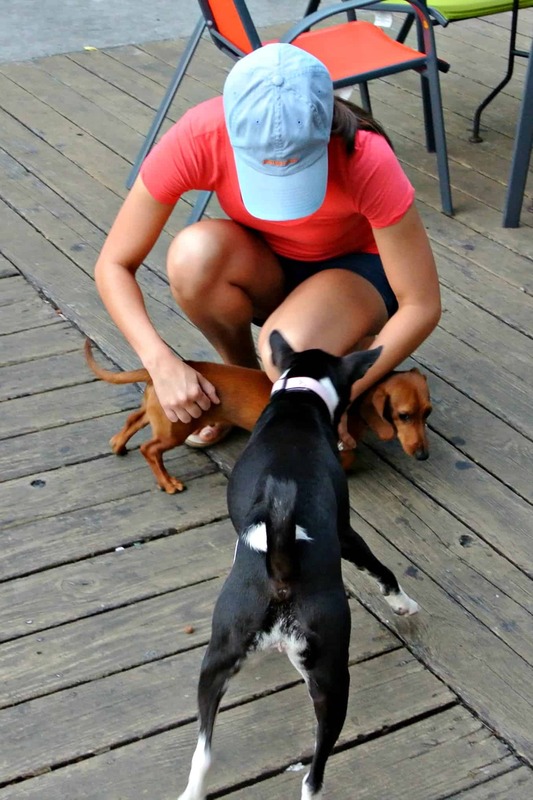 When I was looking through the pictures at Yappy hour. I noticed in the first one with your 4 legged son, that there is a great little bit of sunlight hitting your side. This made me think of sewing a ribbon on that one side in a weaving downward direction. The shadow naturally hits your side in this fashion. What do you think? Really love this! Thank you for showing how you did the high-low detail. I would love to know, how you would hem that? Thanks!! 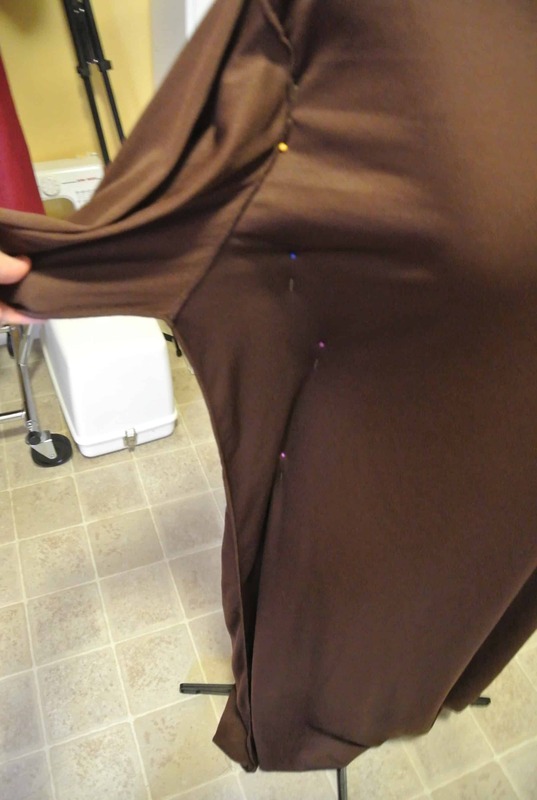 If I HAD to hem it I would try to just serge the end or use notches to keep it from bunching up! Douglas is just as cute as ever … isn’t it nice that he can come with you? 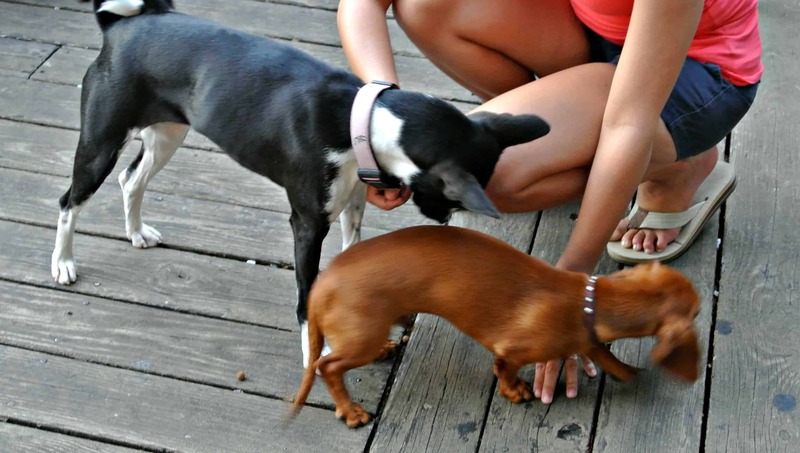 Yappy hour, tee hee! 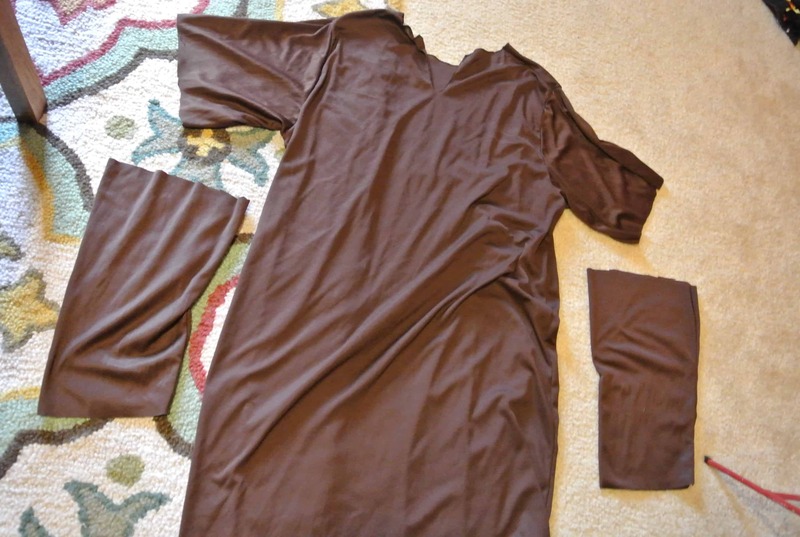 Also liked the refashion – you really show how this could be different with not too much work.